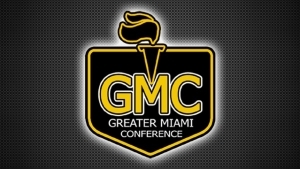 Congratulations to the Highlanders who were named GMC Athletes of the Week! Margaret competed in her last GMC league meet with a personal best 500 free, is a class officer, takes AP and Honors classes, is a two-time Highlander award winner, and is a team captain. Senior forward Allison Huellemeier came off the bench to score 14 points, including hitting 4 of 5 shots from 3 point land, to help lead Oak Hills over Lakota East on the road. She added 2 rebounds, 2 steals and an assist in the win. She also scored 7 points and grabbed 2 rebounds in a loss at Princeton while shooting 66 percent from the field and 87 percent from the 3 point arc for the week. Chase bowled a 487 for 2 games against Fairfield. Grant played an important leadership role for our team all season. Grant made significant changes in his attitude/work ethic off the court but more importantly, he plays the "toughness" role on the court. Grant, rebounds defends, and screens.... all unselfish plays that are not recognized in the stat column.